Summary: CECL is ticking closer. We provide you with some questions your examiners may ask around CECL during your next exam to prepare you. 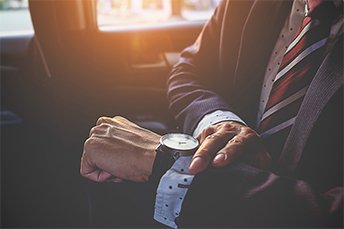 The American Payroll Association reports about 10 minutes per day/per employee, is lost as a result of people leaving early, being late and taking long lunches. For a company with 100 people, given 240 working days per year, that adds up to about 4,000 hours per year that disappears due to inefficient time usage. Time is flying in banking too, particularly when you're preparing for new rules governing current expected credit loss (CECL). Even though the effective date for most community banks is not until January 1, 2021, regulators have begun to ask questions about how well CECL preparation is going. One way to stay on top of what regulators may want to know is to study the government publication answering frequently asked questions about CECL. Have you started gathering data in preparation for CECL? What type of data are you gathering? Where does it come from? Are you collecting the right data? Is it clean and ready for use in calculations? Does it balance back to your financial reports? Will you be using external results in your calculations? If so, what type of data will you use? (For example, statistics on charge offs, delinquencies and economic data like local property values). What are your sources for peer data? (For example, rating agencies, call reports, data warehouse statistics). Will you be adjusting your own data based on peer results, and if so, on what basis? (For example, if you plan to use statewide charge off data for a particular loan type, will you be adjusting your own charge-off estimates based on the state experience)? Are the assumptions for your forecast well documented, including economic factor expectations? What modeling methods are you reviewing/using and why? Are you planning to create your models internally, and if so, how will you do that? What experience do you have in creating models? How will you test to ensure they are working properly? Have you planned on independently validating the model? Do you plan to use vendor models? If so, how will you select the vendor? Do you think you will use more than one method in your calculations? How will you validate the models you are using? Are you adhering to the FDIC Supervisory Guidance on Model Risk Management? Are you on track to be ready for CECL by your effective date? Have you encountered any roadblocks, and if so, how do you plan to overcome them? When regulators show up for your next exam, they will likely be able to tell how well your preparations are going and whether you are on track for implementation. Trying to anticipate questions that examiners might ask at this early stage may free up some time and help you determine where you are getting it right - and where you still need to do some work. Global economic recovery, US tax reform and deregulation were reasons cited by 71% of global CFOs who believe the US economy will stay robust over the next 3Ys. Meanwhile, 61% were extremely confident or confident about investing in the US, 50% are benefitting from the tax cuts and said they will re-invest in plants and equipment, and almost 67% said they will increase headcount. Potential concerns included trade war ramifications and the crack down on immigration. Around 67% of CFOs anticipated an increase in cyber threats to the U.S. and faster rates of innovation in competitor countries. Fed Cleveland President Mester said the economy is growing above trend, which could lead the Fed to increase the fed-funds rate higher and faster than expected in order to ensure the US avoids a buildup in risks to macroeconomic stability. According to the 2018 Risk Survey by Bank Director, the three risk areas of most concern include: cybersecurity (84%); compliance (49%); strategic (38%); credit (37%); interest rate risk (27%).